The technology transfer from academia to industry, particularly for SME to support their digitization initiatives. We enable your advances via computational engineering. Every day, you create top products for your customers. 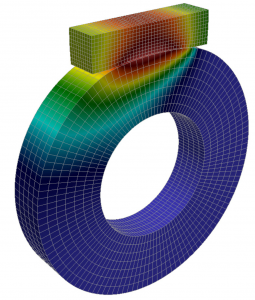 With high-quality predictive simulations, you are able to develop these products yet faster and cheaper at a yet higher quality. AdCo EngineeringGW offers you Computer-Aided Engineering (CAE) of the highest quality and is devoted to ensuring that your business remain a crucial step ahead of your competitors: the best (from research) for the best (of your products). Depending on your needs, we provide any level of support you deem preferable: from consulting up to the complete top-down management of projects for you. How can we help you? Please do not hesitate to contact us. We carry out the whole simulation process for your problem. In addition, we can offer you individual software-solutions to suit your needs, no standard solutions. We provide advice by evaluating your particular problem and proposing various simulation approaches that would provide the insight you seek. As part of this, we would provide guidance concerning the pros and cons of each approach. We offer you seminars discussing the most recent state-of-the-art advances in simulation methods. We may also provide in-house seminars on request. various university hospitals (among others, University Hospital Aachen, University Hospital Carl Gustav Carus at Technische Universität Dresden, University Hospital Freiburg, University Hospital Klinikum rechts der Isar of Technische Universität München, University Hospital Tübingen). In the following, we will introduce our areas of expertise. We will illustrate them exemplarily by some applications which are typical for the respective area and for which we offer simulation services and tailor-made software solutions based on the newest high-fidelity computational methods.Please visit also our special section on a particularly challenging multi-field problem, that is, Thermo-Fluid-Structure-Interaction (TFSI), showing pictures and videos obtained from our simulations of complex TFSI application examples. Given our proven track record in research and development as well as implementation and application of advanced computational methods, we can offer you far more than solutions achievable with commercial and open-source software packages. Our simulation services and tailor-made software solutions are based on our proprietary in-house CAE software. In any case, for an individual solution of your problem, please do not hesitate to contact us. 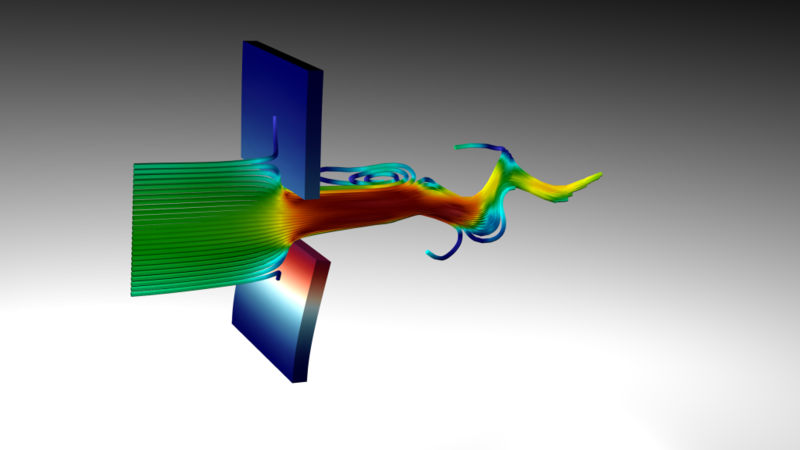 Learn more about our in-depth expertise in the areas of computational solid mechanics (CFD) , fluid mechanics (CFD), thermo mechanics, acoustics, scalar transport, and electromagnetism. 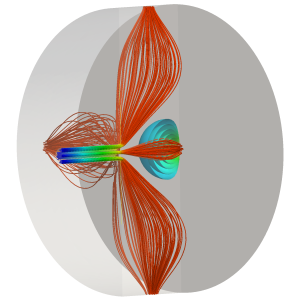 More on our broad expertise in simulating coupled multiphysics problems such as fluid-structure-interaction, electrochemistry, thermo-structure-interaction, thermo-fluid-structure-interaction, and poro-elastic fluids. 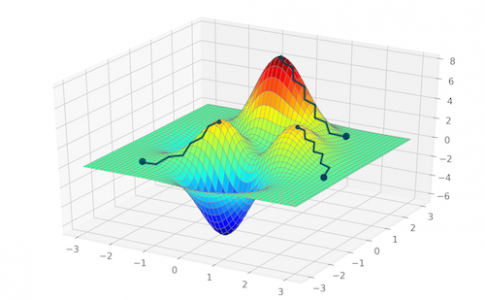 More about our expertise in the domain of uncertainty quantification, statistical model calibration, inverse analysis, and Bayesian optimization. More information on the hardware related aspects of state-of-the-art simulation like high-performance or cloud computing, machine learning, and the numerical methods we use. Below you see two challenging example simulations showcasing fully coupled thermo-fluid-structure-interaction simulations. 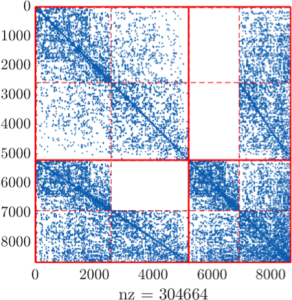 All simulations were conducted with our in-house code, which allows for a monolithic solution of these multi-field problems. This showcase demonstrates large deformations induced by flow obstructed by elastic flaps. Thereby the bottom flap is heated and the heat is transferred from the structure to the fluid, as seen in the video below. 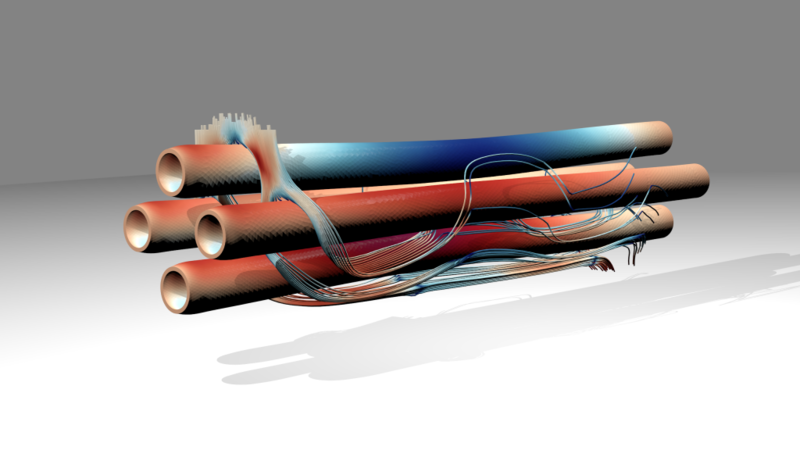 The image above and the video below show the multi-physics simulation of a heat-exchanger. To show the deformation of the structure the fluid field is not fully displayed and only a few streamlines are shown. In collaboration with BMW Group and with the support from the bavarian state through the “Bayerische Forschungsstiftung” the project “FELIKS” will deliver crucial contributions to accelerate the application of all-solid-state batteries in order to reach the goals of the energy revolution. Advanced simulation approaches, which are one of the core competences of AdCo EngineeringGW, are the key to the understanding of this new kind of batteries. The goal of this project is an improved understanding and optimization of cryogenic buffer-gas-cooling. 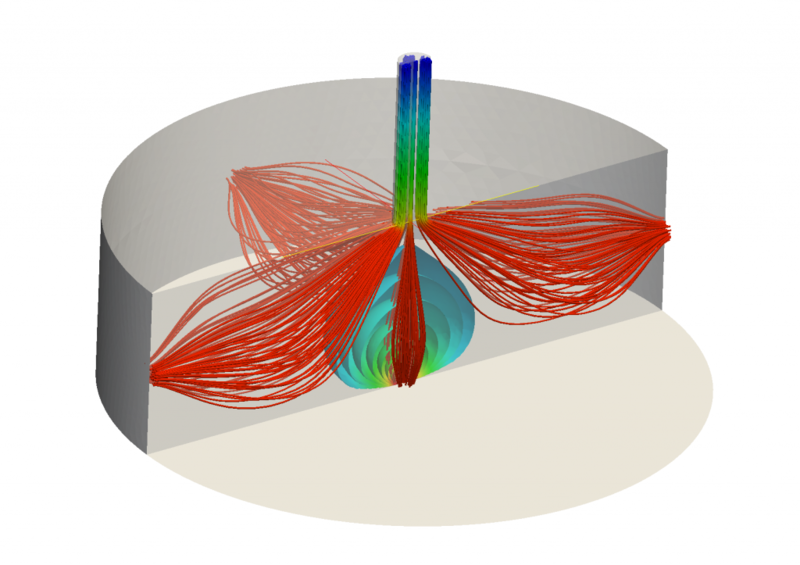 When simulating flow inside the buffer-gas-cell, it is crucial to account for the variable density of the buffer-gas due to the high temperature gradients within the cell. Moreover, the molecular transport, which is coupled with the buffer-gas flow, has to be simulated. Since 2014 AdCo EngineeringGW works as consultant and developer for ANSYS, Inc. to further advance their Computer-Aided-Engineering software products. 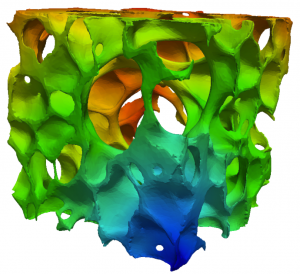 The collaboration encompasses several areas and currently focuses on mortar methods for contact mechanics.